Stonehurst Family Farm and Motor Museum01509 413216work FarmEnjoy a great day at Stonehurst Family Farm, your authentic, friendly and fun farm park in Mountsorrel. Stonehurst Farm is a proper working family farm where you can meet and feed the friendly animals, collect freshly laid eggs, swing in the straw barn, enjoy tractor rides, pony rides, hold baby animals, explore our nature trail and see what you can catch "pond dipping". All this and two super playgrounds, a delightful tea shop, farm shop and a fantastic motor museum! Families, friends, couples, schools, groups and birthday parties are all welcome at Stonehurst Farm. Make sure you visit us soon; a warm welcome awaits! 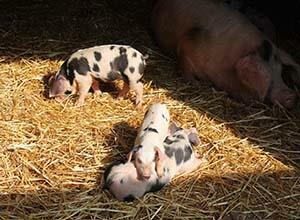 Enjoy a great day at Stonehurst Family Farm, your authentic, friendly and fun farm park in Mountsorrel. Farm shop, includes home produced and made Tamworth Pork Sausages. From the A6 travel through the village of Mountsorrel and look for the brown and white signposts. Access to the car park is on Bond Lane.